Canada's prison service is using security tests that may discriminate against Indigenous offenders and keep them behind bars longer and in more restrictive environments, the Supreme Court of Canada has ruled. The Supreme Court of Canada has ruled on the Jeffrey Ewert case, which challenged the risk assessment tests on the grounds they are racially biased against Indigenous offenders. In a 7-2 decision, the court found that Correctional Service of Canada failed to take steps to ensure that risk assessment tests used for deciding such things as penitentiary placement and parole eligibility are valid and accurate for Indigenous offenders. The case involves Jeffrey Ewert, a Métis inmate who was convicted of the murder and attempted murder of two young women. His lawyer argued the risk assessment tests were unreliable for Indigenous offenders, and that CSC had been aware of concerns about the tests since 2000 but had failed to confirm their validity. The decision says that if CSC wants to continue to use the "impugned tools," it must conduct research into "whether and to what extent they are subject to cross-cultural variance when applied to Indigenous offenders." "Any further action the standard requires will depend on the outcome of that research," reads the majority decision, written by Chief Justice Richard Wagner. "Depending on the extent of any cross-cultural variance that is discovered, the CSC may have to cease using the impugned tools in respect of Indigenous inmates, as it has in fact done with other actuarial tools in the past." While the ruling found CSC breached its legal obligation, it did not find that Ewart's constitutional rights were violated. There was no evidence that the assessment had no rational connection to the government objective of public safety, the decision states. CSC has not said whether it will stop using the test as a result of the ruling. "The Correctional Service of Canada (CSC) is reviewing the decision and will determine next steps. It is important to note that culturally appropriate interventions and reintegration support for First Nations, Métis and Inuit offenders is a priority of CSC," spokeswoman Stephanie Stevenson wrote in an email. The ruling noted the troubled history of Indigenous people in the criminal justice system, saying numerous government commissions and reports have recognized that the discrimination faced by Indigenous people, "whether as a result of overtly racist attitudes or culturally inappropriate practices, extends to all parts of the criminal justice system, including the prison system." Data from correctional investigator Ivan Zinger's office show that Indigenous offenders are less likely than non-Indigenous inmates to get parole, and spend longer portions of their sentences behind bars. It also showed that Indigenous offenders' share of the total inmate population reached a record high of 27.4 per cent as of August 2017. Justice Malcolm Rowe, writing in dissent, said that in his view, CSC only needed to keep complete and accurate records of the results of the assessment tools. He said Ewert should have asked the courts to review the specific decisions that CSC made about him using the results of the tools. Ewert's case was filed against CSC and the wardens of Kent Institution and Mission Institution, both located in British Columbia. 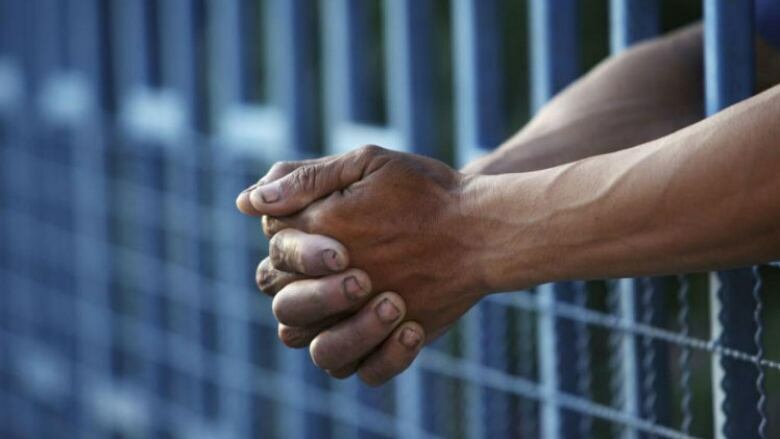 A spokesperson for Public Safety Minister Ralph Goodale said the government is taking steps to address the disproportionate number of Indigenous people in prison. "We take the views of the Supreme Court very seriously and are examining the decision closely," said Scott Bardsley in an email. "More broadly, the overrepresentation of Indigenous people in correctional institutions is an intolerable situation that we're working very hard to address." The government invested $10 million last fall to help provide safe alternatives to incarceration and promote rehabilitation, part of $120 million set aside in last year's budget to support the reintegration of Indigenous offenders and advance restorative justice. The British Columbia Civil Liberties Association (BCCLA) and the Union of B.C. Indian Chiefs intervened in the Ewert case. They argued that a bad risk assessment rating can mean an Indigenous prisoner is less likely to get parole, access to programs, or early or temporary release, and is more likely to experience solitary confinement and a maximum security setting. Today, the BCCLA said meaningful changes to address over-representation of Indigenous people in prisons are long overdue. "We are hopeful that the court's emphasis on substantive equality in correctional outcomes for Indigenous offenders will assist over time in reducing the numbers of Indigenous people incarcerated," said lawyer Jay Aubrey in a statement.